Chef Jose Andres, founder of the nonprofit World Central Kitchen and a 2019 Nobel Peace Prize nominee, will open a kitchen in D.C. to feed furloughed federal workers in his hometown. 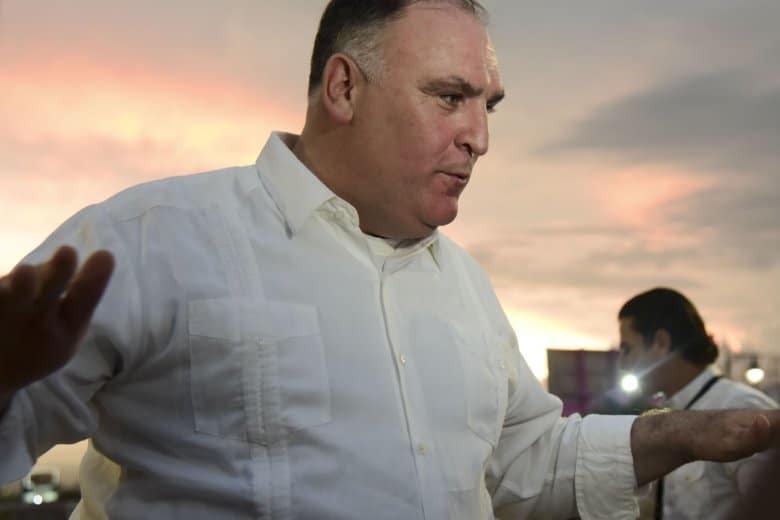 WASHINGTON — Chef Jose Andres, founder of the nonprofit World Central Kitchen and a 2019 Nobel Peace Prize nominee, will open a kitchen in D.C. to feed furloughed federal workers in his hometown. “We believe that no person should have to go through the pain of not knowing what to feed their children, so we are opening a kitchen,” Andres said, announcing the kitchen in a video he tweeted on Monday. Andrews owns several restaurants in the D.C. area. His organization, World Center Kitchen, will open the relief kitchen between the White House and the U.S. Capital. It will be a symbolic location, according to Andres, and will serve as a place for federal workers to receive meals and recipes to take home. He also hopes it will serve as a wake up call for lawmakers. “I hope it will be a call to action to our senators and congressmen, and especially President Trump, to make sure that we end this moment in the history of America where families are about to go hungry,” Andres said. World Central Kitchen has previously responded in the aftermath of natural disasters around the world, including to Puerto Rico following Hurricane Maria. Andres says the effort to get federal employees back to work requires bipartisan support. “World Central Kitchen will be there for all Americans,” Andres said. The kitchen will be located at 701 Pennsylvania Avenue NW and will be open from 11 a.m. to 6 p.m. daily, beginning Wednesday, for federal workers with identification.